At the ripe old age of 18, I found myself working in a busy London hotel and renting a room in a share house. My days off were generally spent travelling back home to see my family and friends, leaving my room empty but costing me money. It didn’t take me long to figure out that I was paying approximately 30 percent more than I needed to for what I actually needed. I posted a note on the staff notice board offering to share my empty bed on the nights I was away to anyone willing to pay to use it. I was inundated with requests from the catering staff who worked long hours, back to back, especially on the weekends when I was not there. Demand was high and once I’d exhausted the sofa and available floor space I found myself handling the same ‘short-term letting’ services for other staff in similar positions to myself. Little did I know that I was the first-generation Airbnb! Why didn’t my little ‘hobby’ take off into a multi-million-dollar industry? Well unlike Airbnb, I had the big disadvantage of the Internet of Things having not even been conceived. Fast forward too many years than I care to remember and Airbnb is leading the charge in the sharing economy of travel. What’s odd is the industry reaction to a company that is already a decade old and which has been providing its services in Australia for at least six years. So why all the noise now? The demand from consumers who have become disillusioned with the ‘one size fits all’ mentality of hospitality as we know it today has forced Airbnb out of the shadows and into the public eye as it tries to secure enough stock to fill demand. We are entering an era where travellers are demanding ‘experience’ over ‘tradition’. A generation that is internet savvy and wants to have choice at their fingertips. Most traditional accommodation providers in Australia failed to recognise this changing dynamic and many are feeling the impact now as their once regular clientele are heading elsewhere. However, rather than lobbying for a raft of confusing legislation which varies from state to state, hoteliers should be looking at ways of how they can embrace this change. 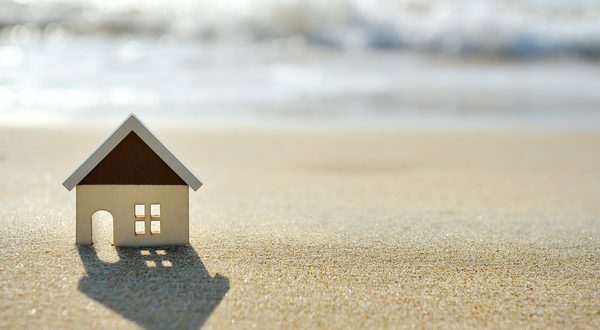 Otherwise many of their counterparts who already make up a large share of Australian lodging may find themselves unwittingly impacted by these changes, especially in the managed Holiday Home sector. The hotel industry would be better served to acknowledge that business such as Airbnb are here to stay and find ways to engage with them as opposed to fighting them. Airbnb is being proactive in trying to adapt its business model to suit a wider demographic, including those customers such as myself who invariably still want to choose a hotel bed over a bed in a shared home. Meaningful discussions between all stakeholders as we approach the tipping point in this sharing economy revolution will provide for better outcomes all round and may in fact provide the answer to the ever-increasing high distribution costs through traditional online travel agencies.